In 1934, the Federal Housing Administration (FHA) was created with the purpose of improving the housing market and protecting mortgage lenders. 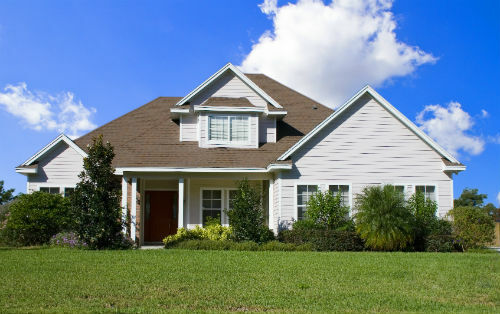 This is achieved by insuring home loans that are offered by approved lenders. As a result, buyers are able to receive great rates and terms while lenders are protected in the event of borrower default. The FHA offers a variety of loan programs including options for purchasing new homes, refinancing current mortgages, financing special renovation projects, and even reverse mortgages. Bancstar Mortgage LLC offers some of the lowest rates on FHA loans throughout Bethesda and all of Maryland.Low down payment and credit score requirements have made FHA loans very popular among first-time homebuyers. Borrowers have the potential to qualify for an FHA loan with a down payment of only 3.5% and a credit score of 580. Family members are even able to offer the down payment to borrowers as a gift if they do not have the cash themselves. For those who already have an FHA loan, refinance programs are available as well. Depending on a borrower’s needs, cash-out refinance and streamline refinance options are available. To protect buyers, streamline refinancing is only available if refinancing will save the borrower money. For those interested in tackling a rehabilitation project, the FHA 203k loan allows a borrower to combine the purchase of a home and the cost of renovations and repairs into a single mortgage. Bancstar Mortgage is a leading provider of Mortgage Loans in Bethesda, Silver spring, Arlington, Baltimore, and the whole state of Maryland! Contact Bancstar Mortgage todat at (240) 664-6243 for more information or how to get pre-qulified! Certain requirements must be met for all Bethesda FHA loans, regardless of the type of loan you are seeking. Credit Score – A minimum credit score of 580 is needed to qualify and receive the low down payment option. If a borrower has a score between 500 and 579, they may still be able to qualify but a down payment of 10% may be required. Debt-to-Income Requirements – A debt-to-income (DTI) ratio of 43% or less is required. In special cases, a DTI ratio of up to 50% can be approved. Down Payment – 3.5% of the purchase price is required if a borrower meets credit score requirements. As noted above, a higher down payment may be needed depending on a borrower’s credit score. Mortgage insurance is the component of an FHA loan that protects lenders when borrowers default on their mortgages. This insurance is also what allows the FHA to offer such low credit score and down payment requirements. Two mortgage insurance premiums (MIP) must be paid with every FHA loan. The first is an up-front premium of 1.75% of the purchase price that is added to your total mortgage amount. The second premium is paid monthly as part of your mortgage payment. This premium is between .70% and 1.05% of your annual mortgage balance and based on numerous factors including the total loan amount, your loan-to-value (LTV) ratio, and the length of your mortgage. Whether you are looking to purchase your very first home in Bethesda, or are a current homeowner interested in refinancing an FHA loan, at Bancstar Mortgage LLC, we offer great rates and terms on all types of FHA loans. Bancstar Mortgage is a leading provider of Mortgage Loans in Bethesda, Silver spring, Arlington, Baltimore, and the whole state of Maryland! Contact Bancstar Mortgage todat at (240) 664-6243 for more information or how to get pre-qulified!